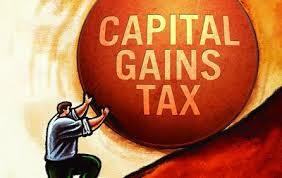 Capital gains tax (CGT) is basically a tax imposed on capital gains. The tax is calculated on the profit that is gained on the sale of any property or non-inventory assets. The profit is made when the cost of purchase of those assets was lower than the sum recognized on the sale. Commonly the capital gains tax is computed on the sale of any property, bonds, shares or any precious metals. 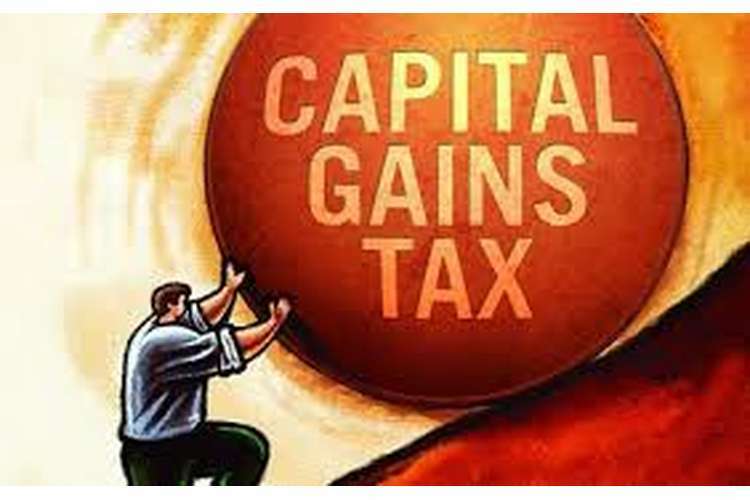 The capital gain taxation theory is still not been executed in all the countries and the countries where it has been implemented has a different taxation rates as compared to other countries (Burman, 2010). Hence, CGT is a type of tax which is charged on the gain received when a non-inventory asset whose value is been appreciated from the date when it was purchased is sold or disposed by an individual or any institute or organization. In Australia, an individual who is a resident or non-ordinary residents are liable to CGT. In Australia there is no such particular CGT taxation rate. Currently, the top most marginal tax rate is 46.5% but if the asset is hold for at least 1 year by the holder before disposing it then he is entitled to rebate of 50% CGT, through this only half of the amount is charged to the tax. If the individual after exercising the 50% CGT rebate is charged to top marginal tax rate then his or her tax rate will be reduced to 23.25%. This rebate with effect from May 2012 is not applied or exercised on temporary as well as non-residents. If the trader is registered under GST then he or she is application for exercising the rebate after claiming for the input GST credit for that particular amount but if the trader is not registered under GST then he or she is not application to claim input GST credit for that particular amount. If an individual or association who is a resident of Australia has a power to offset their capital losses against those of capital gains and can be carried forward for a indefinite period but these loses cannot be offset against the ordinary gains (Clarke.et.al, 2011). Apart from this, any loss arises due to sale of any collectible assets then such losses cannot be set off or carried forward against the capital gain. An individual whose profits comes under tax-free allowances in the year are also not subjected to CGT. Any type of investment made in the newly start up venture are also not liable to CGT i.e. these are exempted. If the individual who is a taxpayer acquires any non-inventory assets before 20th September 1985 then he or she is entitled to obtain a title of pre-CGT asset and the asset holding this title is exempted from the CGT but if any additional repair or construction is done on the property after 20th September 1985 then an individual will not be entitled to pre-CGT asset and hence no exemption will be provided for that asset. Figure 1: Computation of net capital gain. The stamp duty and legal fees payments made by the Fred during purchase of holiday home are considered as cost base. The expenditure incurred by the Fred for constructing the garage on the property is also included in the cost base. In the first set, Fred is considered as a registered under GST and therefore GST amount is being deducted from the cost base and in second set, Fred is considered as non-registered under GST and hence, the GST amount is also included in the cost base by not allowing any deductions. Fred is also not entitled to enjoy the title of pre-CGT asset because the property was purchase by the Fred after 20th September 1985. It is noticed that Fred is a taxpayer and he also holds the property for more than the one year and hence, he is entitled for 50% exemption in the capital gain. The loss occurred on the sale of shares are also carried forward and set off against the current capital gain of Fred. According to the case, Fred is not eligible to carry forward and set-off the loss occurred from the sale of antique vase against the current capital gain. This is so because, antique vase falls under collectible assets and any loss incurred related to these asset can only be carried forward and set-off against the capital gain received from the same assets. Due to this reason, Fred cannot adjust the loss incurred from the sale of antique vase as he does not receives any capital gain from the same asset after getting such loss. So, the new net capital gain and net taxable capital gain will be $333,500 for the case if Fred is registered under GST and the new net capital gain and net taxable capital gain for the case if Fred is non-registered under GST will be $333,000. Fringe benefit is basically additional benefits provided to the employees by the employer in the employment session. These benefits complement a staff’s salary and it could be private health care, private loan, accommodation fringe benefits or car fringe benefits. These benefits are only provided in employment terms and are provided only to the associates or employees and not to the contract based employees (Atkinson and Leigh, 2010). A different method is used for every fringe benefit in order to calculate the tax value of such benefits. Items provided that is related to the work like for example tools, laptops, protective clothes, etc. (A). Advise Periwinkle of its FBT consequences arising out of the above information, including calculation of any FBT liability, for the year ending 31 March 2016. You may assume that Periwinkle would be entitled to input tax credits in relation to any GST-inclusive acquisitions. With respect to the case, Emma who is an employee in Periwinkle Pty Ltd which is manufacturer of bathtub is provided with many different fringe benefits in the year 2014-15. The following are the various benefits which an organization has granted to Emma. The statutory percentage is determined by using the following formula by considering the kilometre that a vehicle is being used. (B). How would your answer to (a) differ if Emma used the $50,000 to purchase the shares herself, instead of lending it to her husband? Altshuler, R., Harris, B.H. and Toder, E., 2010. Capital income taxation and progressivity in a global economy. Va. Tax Rev., 30, p.355. Atkinson, A.B. and Leigh, A., 2010. The distribution of top incomes in five Anglo-Saxon countries over the twentieth century. Barkoczy, S., 2016. Core tax legislation and study guide. OUP Catalogue. Burman, L.E., 2010. The labyrinth of capital gains tax policy: A guide for the perplexed. Brookings Institution Press. Clarke, M., Seng, D. and Whiting, R.H., 2011. Intellectual capital and firm performance in Australia. Journal of Intellectual Capital, 12(4), pp.505-530. Frogner, B.K., 2010. The missing technology. Applied health economics and health safety policy, 8(6), pp.361-371.